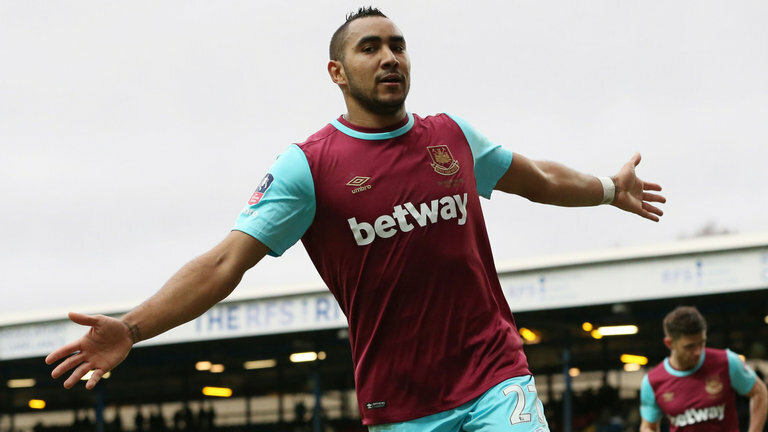 I Miss Payet- Do you? I miss Payet. There. I’ve said it. Now, can I forgive and forget? My anger has gone. To be fair, if I think about the stages of grief that my emotions went through during his drawn out departure, denial was the longest and anger a far behind second. But what purpose did the anger serve? As someone wiser than me (or at least more quotable) once said, anger is like poisoning yourself and hoping the other person suffers. Or something like that. Yes, I know. He’s a snake and he treated us despicably. Yes I know if you had the privilege to play for our club you would never leave and yes I know that no player is bigger than any club and behaving as such means the exit door is inevitable. Now if this was a lover that I was missing, I would expect my friends to give me a slap around the face and tell me I’m better off without her, there is plenty more fish in the sea and I need to move on. But, this isn’t a dastardly ex, this is Dimitri Payet. For a while with him, we soared, we dreamed, we were challengers! Now you and I know that WE made him world class. We gave him confidence, a stage to shine and built a team around him feeding him and playing to his strengths. And boy did he flourish. What are we without him? The last few weeks since his departure have encapsulated exactly what we are without him. Not good enough to challenge for Champions League and too good to go down. Mid-table obscurity. Hate isn’t an option for me. I’ve never hated a player before and I’m not going to start now. Yes that includes Defoe, Lampard, Ince and Bilic. Maybe like the ex-girlfriends who to my mind have treated and left me badly, I should forget and pretend they don’t exist. That last season at the Boleyn! Our first win at Anfield in my lifetime. Beating City, Man Utd, Arsenal, Chelsea and Spurs as well as the Reds all in the same season. Coming from 2 down to beat Everton in the last minute. One of my favourite player songs ever. And those sumptuous free kicks! How can we possibly brush all those magic memories under the carpet just because of one player? Football IS about history. We tell Chelsea that they ain’t got none. Does ours start in the 60’s and end in 1980? No it starts in 1895, continues to this day and I’m proud of it all. The cups, blooding the big boys’ noses and our brilliant unwavering support despite out trials and tribulations. I loved our last season at The Boleyn. It is cherished and will live forever in the memory. I am going to bore my grandkids about it. There is no way in hell that we can forget it and as painful as the move may be, not a single reason why we should. That wonderful, emotional season coincided with us having one of the best players in the world, in form and at the peak of his career. I’ve never seen a West Ham player as good in my lifetime and who knows if I will again. He’s gave me moments to treasure and I don’t want to brush that under the carpet. So, we can’t forget. Sweeping those glorious 9 months under the carpet and throwing away the mixed metaphorical key is not an option. Neither is revisiting it with a bitter taste in my mouth, which leaves forgiveness as the only choice. I love West Ham and I love our history and no player is going to change that or stop me from revelling in my many happy memories. I miss Payet. Unfortunately, he just didn’t understand. Agree or disagree? Let me know on Twitter @apuvyas or pop in to Planet Leasing where I’m happy to talk about cars, vans and West Ham! Great article. Well reasoned and thought provoking. I agree totally with the sentiments about last season, but the parting of ways was so poisonous and divisive by the player, I can’t yet forgive. Agree, I still have the autographed framed photo of a few of his magical moments on my living room wall. When the kids asked me if I was going to take it down, I said no, there are many happy memories in that photo that shouldn’t be forgotten 🙂 Besides, we’ve got Lanzini! i agree with the majority of that. HATE is a word that must be reserved for murderers, rapists, terrorists and pedos and NOT bandied around for stupid people….for that is Payets real crime…..he is fundamently STUPID!!! His first and last full season was aleady historical and his contribution was all set to grant him legendary status. Once he decided he had to leave (the reason is almost irrelevant) all he had to say was “I love the club, I love the fans but I love my family more and they are unhappy in the UK and I need to go back to France”. Now regardless of our sense of loss and wether or not we believed this, the majority would have accepted this, cherished his fleeting brilliance, wished him the best and filed him away in the Di Canio, Ian Wright, Liam Brady folder.